An opportunity to get aquainted with bees before committing to beekeeping. Offering Beekeeping Short Courses to all beginners. 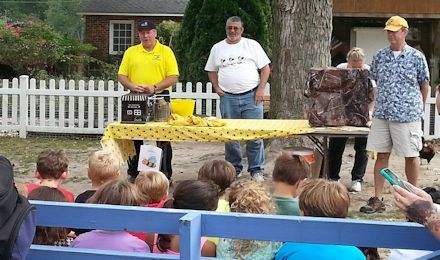 Member mentors to help beginning beekeepers to be successful. Oppurtunities to participate in Club and regional beekeeping events. Notifications by local property owner of available swarms. Instructional field days in member bee yards. Use of Club owned honey extraction equipment. Discounted subscriptions to leading beekeeping journals. Outlets to selling harvested Honey and Hive products. Quantity discounts on Club orders of equipment, NUCs and Queen bees. 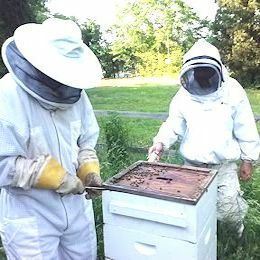 A family membership is $20 per year which includes membership in the Virginia State Beekeepers Association.